Professional raccoon removal services are available in Speedway, Indiana. We are highly qualified and insured and have been in business since 1992. 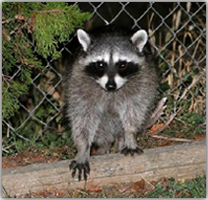 We handle a large quantity of raccoon control jobs every year, and know what it takes to remove raccoons safely and effectively. Our methods are non-lethal, and we work hard to protect the integrity of the home while carrying out our job. Call us at 317-535-4605 for a free estimate on raccoon removal services in Speedway, Indiana. 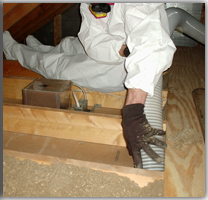 A raccoon in the attic of your Speedway, IN home or business is not an issue to take lightly. 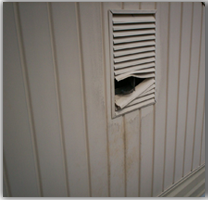 Raccoons can cause serious damage to the structural interior and exterior of the property, devaluing your home or business. 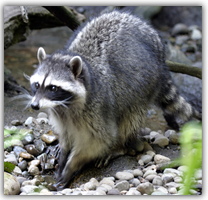 If you call us as soon as you suspect you have a raccoon infestation somewhere around or inside your property, the less damage is likely to occur. There is no need to worry about cost because our prices are affordable. This is because we understand the value of a local client and their needs. Call us at 317-535-4605 if you think you have a raccoon in the attic in Speedway, IN.